Massachusetts does not have an Occupational Safety and Health (OSH) regulatory program that is approved by the federal government. Accordingly, the federal Occupational Safety and Health Act governs private employers operating in the state. The state can investigate county and municipal workplaces in order to make sure they are complying with federal workplace rules. In Massachusetts, a worker right-to-know law or hazard communication applies to all public workplaces. This directs employers to provide information about hazardous or toxic substances in the workplace to their employees. If you are injured on the job as a result of your employer's failure to comply with an OSHA hazard communication standard, you should consult the Boston workers’ compensation lawyers at Pulgini & Norton. 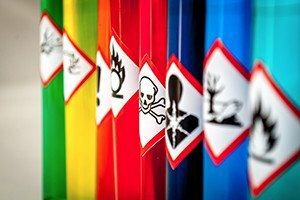 The worker right-to-know law or hazard communication standard is a regulation covering how the employer provides information about workplace chemical hazards. The federal hazard communication standard governs all private business and nonprofits in the state, although there is a state law to cover public employees. The OSH hazard communication standard is similar to the Globally Harmonized System of Classification and Labeling of Chemicals, and it tries to provide a coherent classification of chemicals and communicate dangers to workers through safety data sheets and labels. Specific standards apply to hazard communication, depending on the industry at issue. Additionally, the EPA has imposed certain requirements that must be followed in connection with significant new uses of chemicals and a protection for cultural workers who are exposed to pesticides. All employers in Massachusetts must carry workers' compensation insurance for their employees. They are required to file an Employer's First Report of Injury form with the Department of Industrial Accidents (DIA) and their insurance carrier if an employee claims to have been injured on the job, and it results in five calendar days of disability. Workers' compensation benefits are supposed to be awarded regardless of fault, except in the case of an employee's serious, willful misconduct. This also means that the same amount of benefits will be awarded even if the employer has violated the OSHA hazard communication standard, and this was the cause of a workplace accident. If your employer fails to obtain workers' compensation insurance, it can be subject to civil fines and criminal penalties, including stop work orders and imprisonment. Moreover, if it violates the OSHA hazard communication standard or the state right-to-know law, it may also be subject to penalties. Generally, employers can save money by providing a comprehensive OSHA health and safety protection plan to employees and maintaining regular communication with any injured or sick employee after a claim is filed. Employers that develop and use a return-to-work program involving temporary or modified duty assignments also save money in the long run. If your employer is uninsured, you can potentially bring a personal injury lawsuit against your employer and file a claim against the Workers' Compensation Trust Fund, administered by the Department of Industrial Accidents. Evidence of a violation of an OSHA hazard communication standard may be useful in a civil suit. At Pulgini & Norton, our experienced Boston workers’ compensation attorneys can represent you if you are hurt as a result of an OSHA hazard communication standard violation at your workplace. You may be entitled to medical benefits, disability benefits, and loss of function benefits. We also advise and represent injured employees in Cambridge, Medford, Lowell, and other cities in Massachusetts. Call us at 781-843-2200 or contact us via our online form for a free consultation with a workplace rights attorney.